Nestled in the foothills of the Kalrayan and Sitteri hill ranges is Sittilingi, a tribal village with not more than two lakh people. Like any other tribal area, being cut off from modern amenities, Sittilingi was also struggling with its health indices and poverty was something that people had accepted as a way of life. At one point, death was a common sight and the villagers resorted to natural remedies in the hope of curing their various ailments. 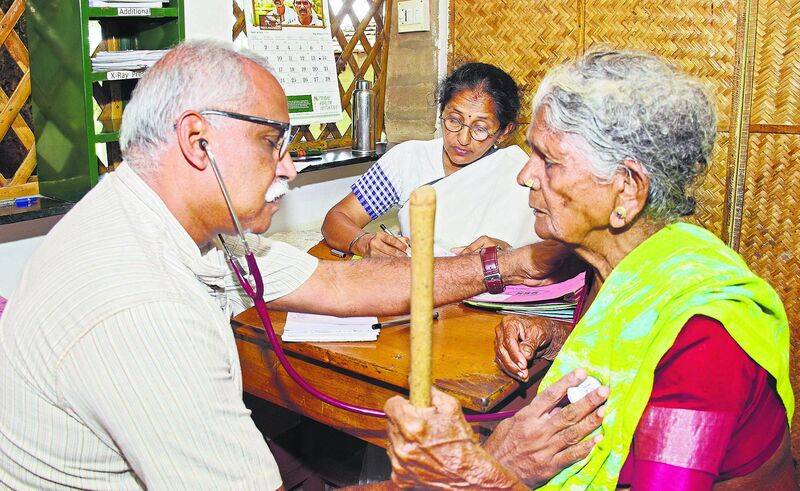 All this changed when Dr Regi George and his wife Dr Lalitha Regi arrived at the village with one aim — to ensure that the villagers received basic healthcare that we city-dwellers take for granted. That was 25 years ago. Today, Tribal Health Initiative (THI), the hospital that they set up in Sittilingi with just one Outpatient unit (OP) is a full-fledged hospital with six doctors and 30 nurses attending to close to one lakh patients every year. "In 1993, when we first came here, maternal and infant mortality rates were quite high. Coupled with this, illiteracy and superstitious beliefs were at their peak and they depended on herbs for cures. So we decided to stay back and do our best to improve the situation," says Dr Regi, who is an anesthesiologist while Dr Lalitha is a gynaecologist. Since their arrival, the IMR (Infant Mortality Rate) has come down to 30 deaths per 1000 live births from a staggering 150/1000. The couple who hails from Kerala, met each other while they were students at the Government T D Medical College, Alappuzha and were determined to give back to society, "Right from the start, we were particular that we should work where we are needed the most and experience what comes along with it. 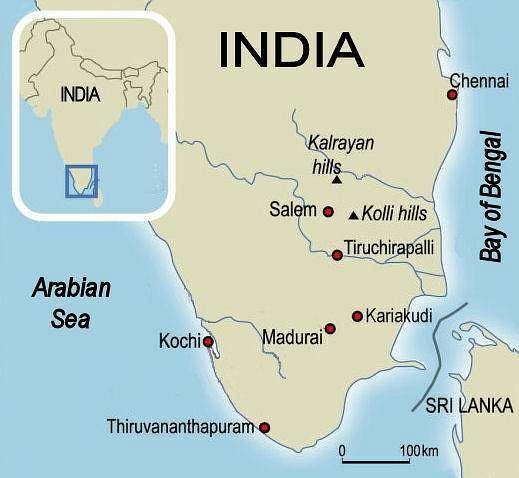 Before we arrived, the nearest hospital was 120 km away and in case of any medical emergency, the villagers had to travel either to Salem or to Chennai," he recalls, about the state of affairs that led them to settle down in Sittilingi. Today, THI is an ISO-certified hospital for quality medical care which boasts of modern facilities like an advanced Intensive Care Unit (ICU), a dental clinic, a labour room, a neo-natal room, a well-equipped emergency room and a fully functional laboratory. "We started with a mere OP unit in a thatched hut. Today, the villagers come to the hospital for curing almost anything," Dr Regi says resolutely, describing how far they've come. However, the couple's biggest achievement along with improving general health levels is promoting a better standard of living. At the hospital, the villagers constitute the majority of the staff. Through Dr Lalitha's strenuous and constant effort, women are employed at THI as nurses, paramedics and health auxiliaries, with benefits like Provident Fund (PF) and gratuity to go with a stable pay. "We started training them, especially the women, right from the time we started the OP unit. At first, it was hard to convince the parents to let their daughters work with us as they were sceptical and it was unheard of for daughters to work instead of getting married. Now, they are adept and as skilled as any other other medical personnel and can even run the hospital without our supervision," Dr Regi says, the tinge of pride in his voice, unmistakable. THI's main source of income is through donations from friends and through Corporate Social Responsibility (CSR) projects, "We do charge a small amount for the treatment here. At times, people pay and other times they just give us what they have. So, with the money that we get as donations, through CSR funding and the hospital's annual turnover, we are able to run THI without any government aid," says Dr Regi when asked how they keep things running. The couple has also been instrumental in promoting the organic farming in the village. Presently, close to 500 farmers are part of the Sittinlingi Organic Farmers' Association (SOFA) through which sustainable farming methods have been introduced to them, "We started thinking about adopting organic farming when the farmers approached us for a solution for the low yield. At that time, farmers weren't making any money and the land was highly infertile due to repeated farming. Now, the practice has been widely accepted by the majority of them and we are convincing others to slowly join the association," he explains. The couple helped form SOFA in 2004. They have also revived the dying Lambadi embroidery art from near extinction. Now, under a brand called Svad, 25 organic products are being sold across the cities in South India and other ventures like soap-making and millet biscuits are slowly catching up. With hands that can turn anything they touch into gold, both Dr Regi and Dr Lalitha do not intend to stop their quest for bettering the lives of the tribals in Sittilingi. "Everything that you see here was possible because the people trust in us and our abilities. We don't have a future plan as such. Instead, we decide our course of action depending on what the people want and that's how we have come so far," says Dr Regi with an optimistic smile.